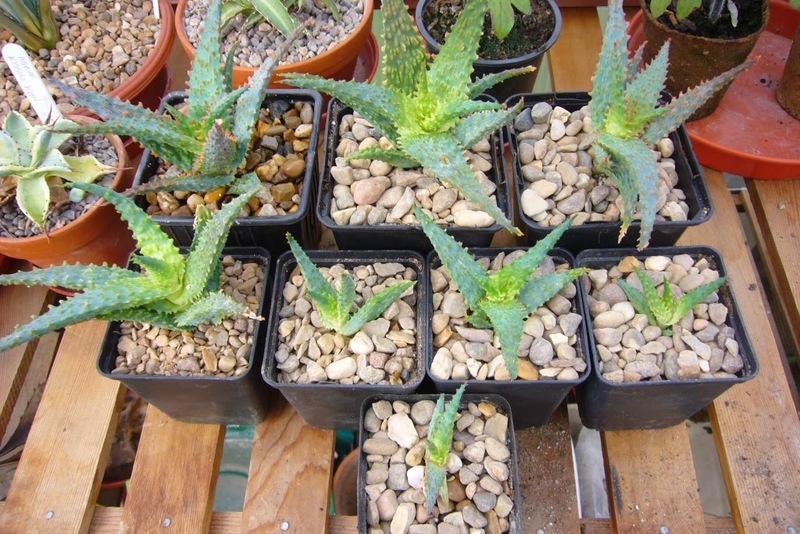 Spiky obsession: Cleaning up the aloe viper. 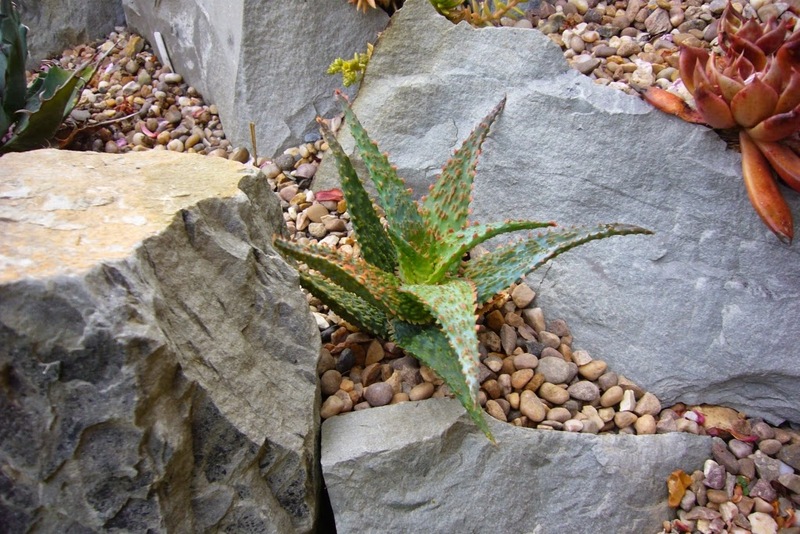 This is one of my favourite aloes, it has such good colour and texture to the leaves. One of Kelly Griffin's hybrids and he was going for bumpy with this one. Originally I thought it was one of the small clump forming group. It has kept growing and has to be re-potted every year. Thinking what to do this year, the decision was made to split it up see what happens. It offsets quite freely, so if the single plants don't work out, it wont be long before it clumps again. 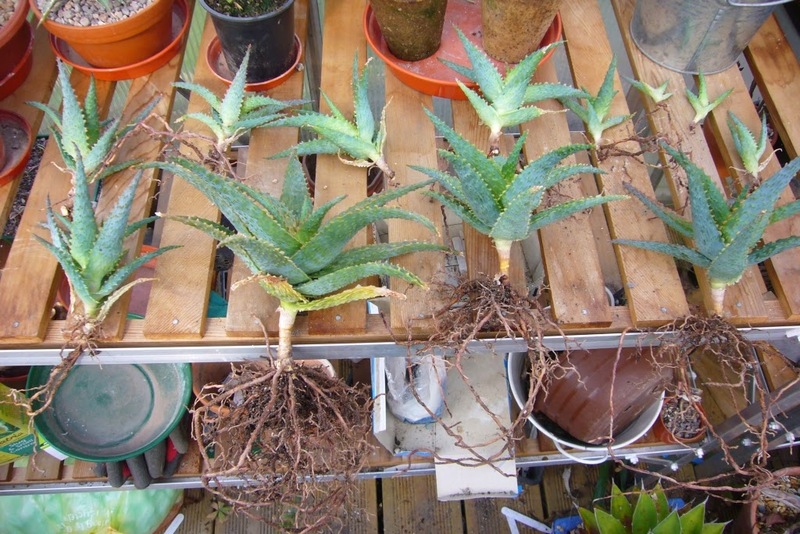 Turned out to be quite a few plants, all with good roots. 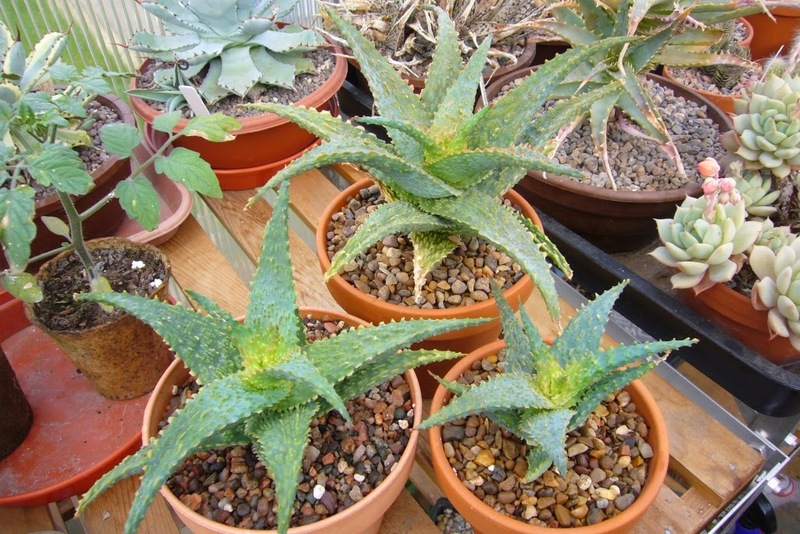 The largest three were potted up to keep. At least one of these will be spoilt this year, a big feature plant would look good out on display. Another may be added to the vertical pot wall to colour up. The other plants potted up and will go into my supply for trades and friends. May use a couple to expiriment with over feeding vs not. With so many plants to play with it seems an ideal oppertunity to be the first person to have one planted outside in the UK. 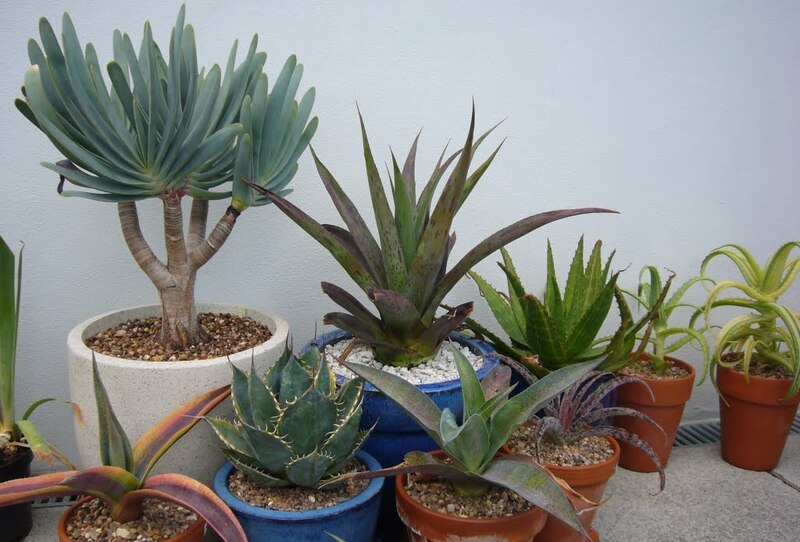 I always get jealous of the US blogs that show plants collectors here go made for, buying them for their gardens. I wonder how it will cope in a UK succulent bed. Mind you this may be taking my aim to have every plant as something special a litte too far. Wow, that's a lot of plants! I have mixed emotions about this one, the bumps kind of weird me out. Good luck! My OH feels the same way as you about the bumps. 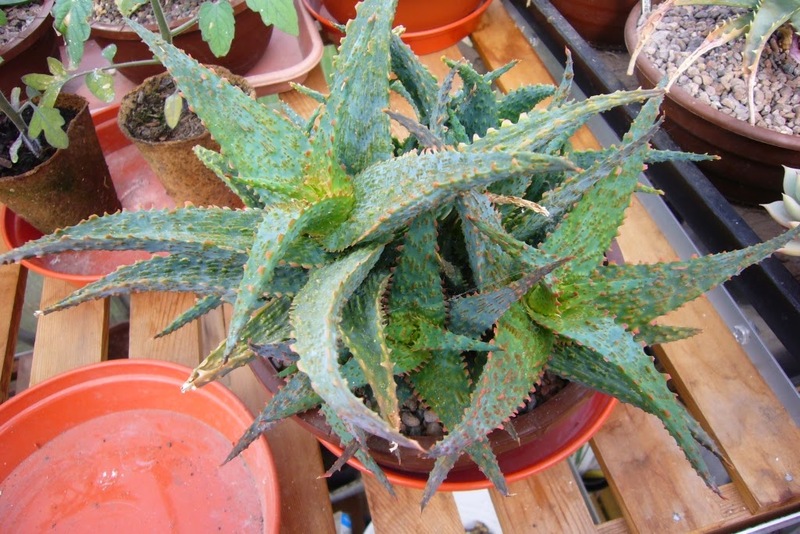 This is a gorgeous aloe. You're lucky to have so many offsets! I'm not a huge fan of Kelly's bumpy little hybrids--they are too small for the scale of my garden--but yours looks great. You've cared for it beautifully because it looks grown to perfection. There in gravel between stones--first rate! I can see how they would be lost in your garden.